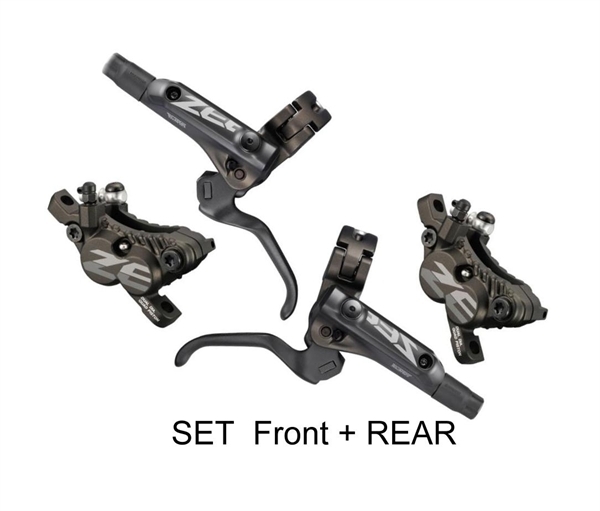 Product information "Shimano ZEE disc brake BR-M640-B"
The new Zee hydraulic disc brake system includes shorty style levers and a powerfull 4-piston brake caliper just like its big brother "Saint". Brakes will come outfitted with proven Ice Technologies brake pads that help keep your brakes running cool in even the most extreme downhill conditions. Scope of delivery: Brake Lever BL-M640 ; Caliper BR-M640; Brake Hose SM-BH90 1400/1700mm (shortable); Resin Pads; completely assembled and bleeded. Please select Rotor and adapter seperate. Related links to "Shimano ZEE disc brake BR-M640-B"
Customer evaluation for "Shimano ZEE disc brake BR-M640-B"